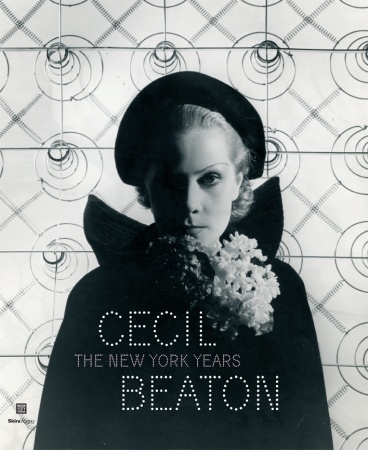 It’s the final countdown at the Museum of the City of New York’s tribute to Cecil Beaton’s New York Years – an installation of scrapbooks, books, drawings, stage costumes, set designs, and photographs by one of the 20th century’s leading chroniclers of celebrity, night life, and royalty. The array of fashion, society, stage and screen icons is astonishing – from deWolfe and Elsa Maxwell through Monroe, Garbo, both Hepburns, and right up to Jagger…all shot in New York, many for Vogue (including that famous photo of those Charles James gowns). You’ll get the idea as you step back in time via this British Pathé film documenting Beaton’s 1968 exhibition at London’s National Portrait Gallery. And who knew there was a licensed fabric collection inspired by his work? Check out this blog featuring some his best photos. This entry was posted in Art, Fashion, Museums, Theater and tagged art, culture, fashion, museums, style, theater by mssusanb. Bookmark the permalink.